Clear emerald straw color. Aromas and flavors of toasted almond, lanolin lotion, dried pears in cream, and bubblegum with a silky, crisp, fruity sweet light-to-medium body and a captivating, snappy finish with impressions of orange and ruby grapefruit, white chocolate nuts, and apple sauce with fine, chewy, fruit tannins and no oak flavor. A pleasant easy drinking dessert wine. 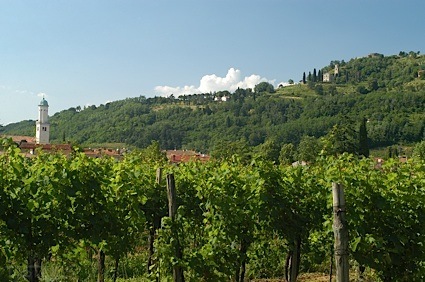 Bottom Line: A pleasant easy drinking dessert wine. 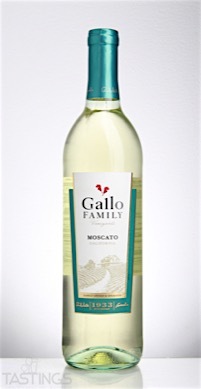 Gallo Family Vineyards NV Moscato, California rating was calculated by tastings.com to be 87 points out of 100 on 12/6/2016. Please note that MSRP may have changed since the date of our review.